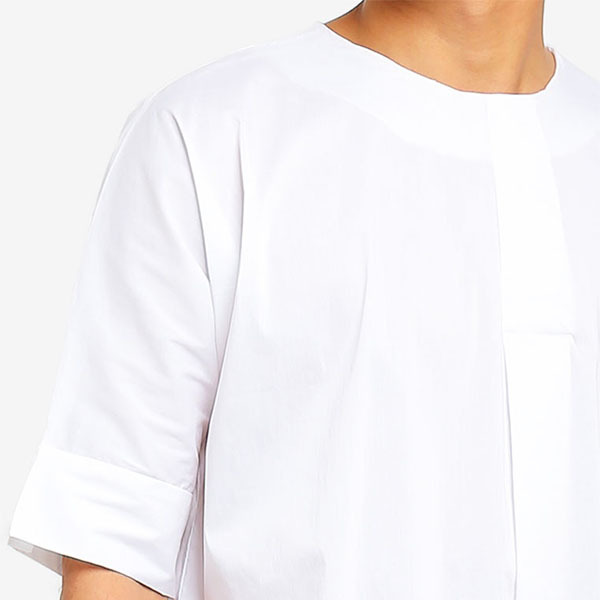 Optional for this Kirosh to create a smart look. 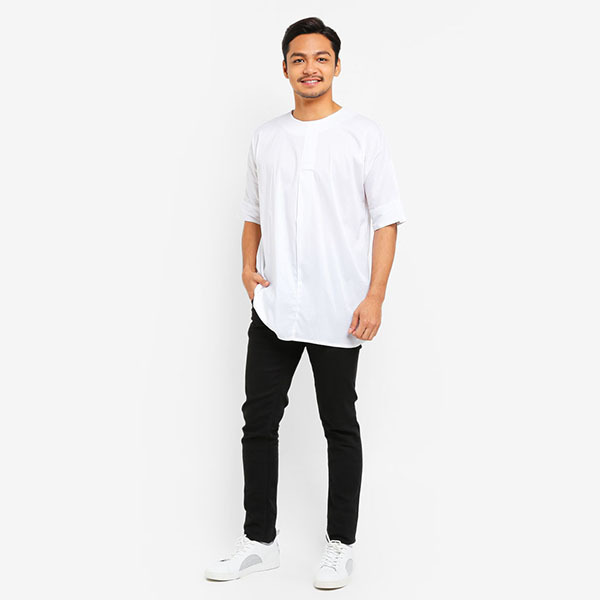 Comfortable and versatile. 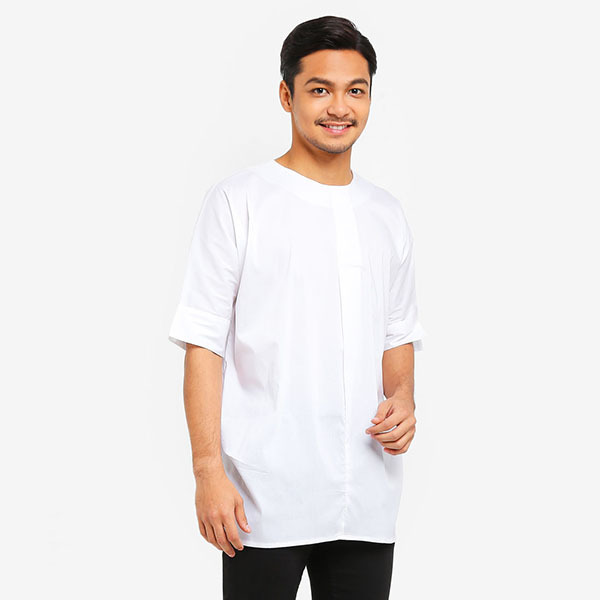 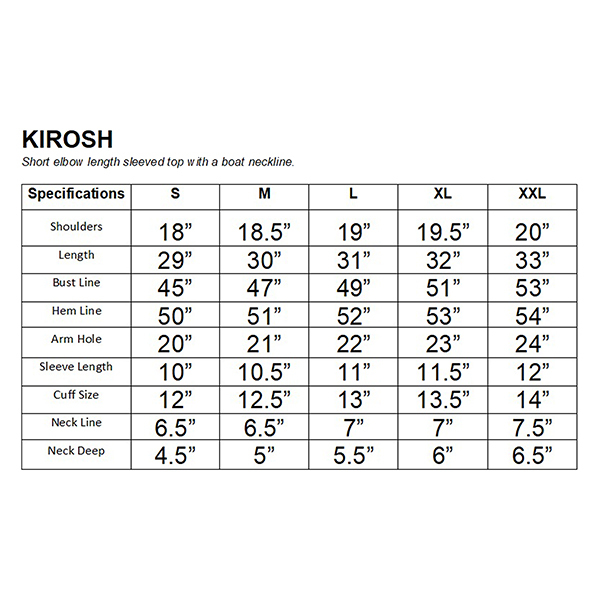 This Kirosh Kurta features short elbow length sleeved top with a boat neckline. 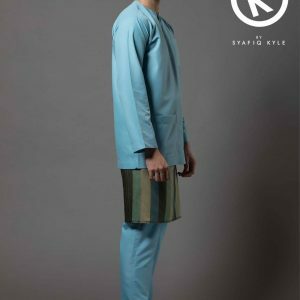 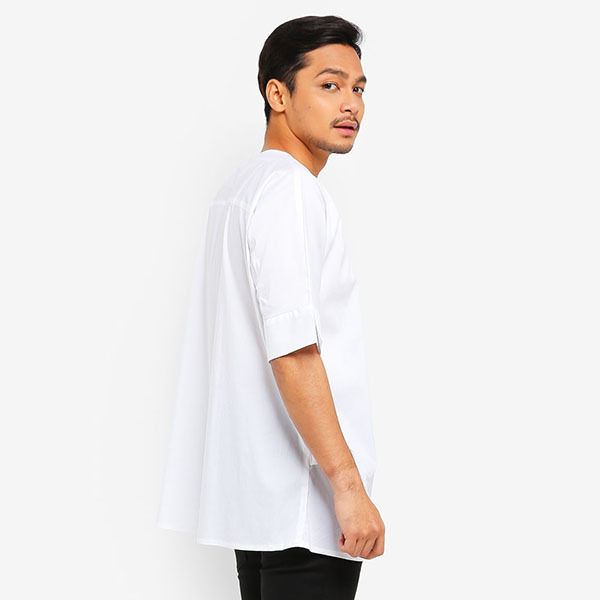 It’s an excellent piece to mix and match with your wardrobe basics and not only for Hari Raya.